Buttonville Airport's controversial control tower has been given a reprieve, but it's unclear for how long. Nav Canada, the private corporation that operates the country's civil air navigation service, had announced in March plans to shutter the tower effective this July, citing dwindling air traffic at Buttonville. Just days after CBC Toronto published a story outlining concerns about safety from local pilots, Buttonville Airport's controversial control tower has been given a reprieve — but it's unclear for how long. Nav Canada, the private corporation that operates the country's civil air navigation service, had announced in March plans to shutter the tower effective this July, citing dwindling air traffic at Buttonville. But that decision sparked outrage from pilots — and a court challenge from the airport operators — who said the decision to remove air traffic controllers from Buttonville would compromise air safety. "We have deferred the closing of the tower from July 19 to do a proper and full assessment of the concerns," NavCan spokesperson Ron Singer told CBC Toronto Friday. "No firm decision has been made as to the actual closing date." The decision comes just weeks after Torontair, the airport's owner, launched a court challenge to NavCan's decision to close the tower. David Sprague, a pilot who uses Buttonville, said the decision will make flying there "a lot safer. "This will be a continuation of a very good system, in a very congested air space." Traffic at Buttonville had been dropping for several years, since plans were announced to sell the property to Cadillac-Fairview. The developer plans to build commercial and residential projects on the land. But in April, Cadillac Fairview announced plans to keep the airport operating until at least 2023. Since then, traffic at Buttonville has begun to surge, pilots say. "Our hangars are pretty well full," Torontair president Derek Sifton said Thursday. "We've got 150 aircraft that call Buttonville home at this point and we suspect it's going to get higher." NavCan;s Singer acknowledged Thursday there has been a recent "up-tick," in traffic at the Markham-based airport, but the decision to keep the tower open after all was related only to the impending court case. 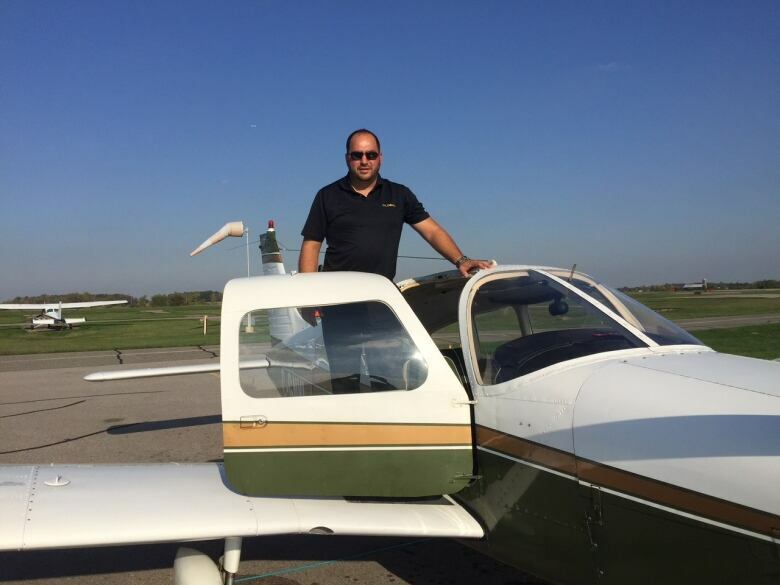 In interviews with CBC Toronto earlier this week, local pilots said Buttonville serves as a hub for commercial and recreational pilots as well as student flyers. In addition, it's in a residential area on a flight path to Toronto Pearson International Airport. "With all this mix of different traffic, we need a tower here," said Mark Brooks, who has been flying in and out of Buttonville, near Highway 404 and 16th Avenue, since 1996. Closing the tower "is really downloading the responsibility of separation down to the pilot. And the busier the airspace, the harder it is for the pilots to keep themselves separate." Torontair launched a court challenge against NavCan's decision late last month. Ian Blue, Torontair's lawyer, told CBC Toronto he'd met with NavCan's lawyer on Wednesday, and that he'd asked for a stay of execution for the tower, while the legal challenge makes its way through the courts. Thursday afternoon, NavCan responded by announcing the closing date has been postponed indefinitely. Singer was unaware whether there would in fact be a new closing date. "We don't know. But we will be vigorously defending our decision in the court proceeding." Blue told CBC Toronto he filed an application with a federal court late last month asking a judge to reverse NavCan's decision to close the tower. "We say their decision to close the air traffic control tower when Buttonville is in the middle of some of the busiest airspace in Canada creates a safety problem and a risk of accident and death." Singer said his agency only operates towers at airports where traffic is above 60,000 takeoffs and landings a year. Butttonville's fell to 26,108 in 2017, according to Statistics Canada. In contrast, it had 84,547 takeoffs and landings in 2014.